CHI semi-permanent hair color with innovative Chroma Intense Dye Technology was created for longer-lasting and more intense colors. Direct dyes deposit easily on bleached or pre-lightened hair while simultaneously deeply conditioning. Using silk proteins to help strengthen the hair and add brilliant shine, hair appears brighter and more vibrant. Wear gloves to avoid staining. No developer required. 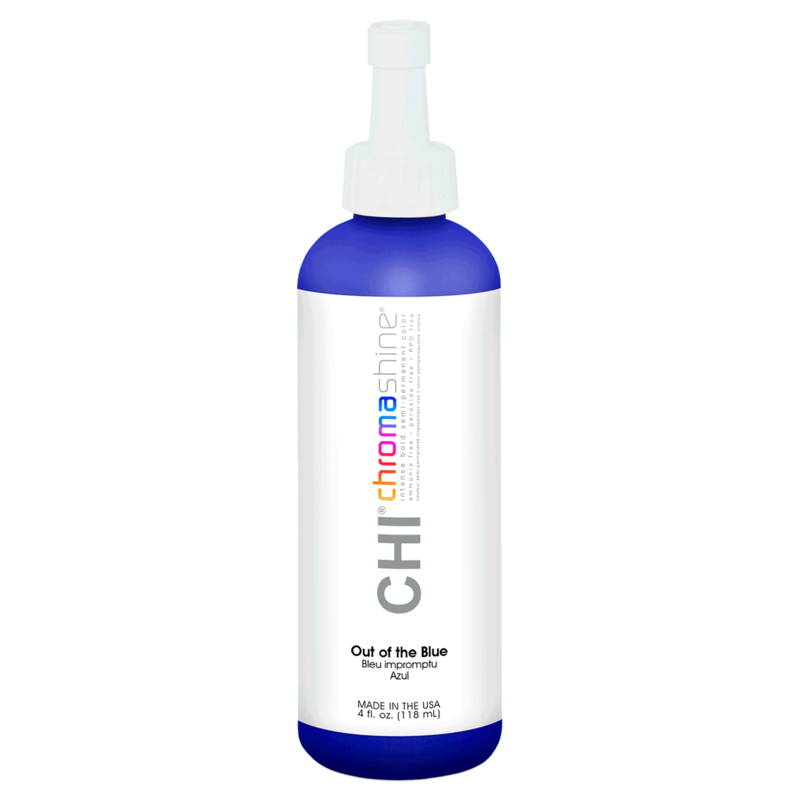 CHI Chromashine semi-permanent hair colors may be used for No Developer Required partial or full head application. Step 1: Determine the desired color or create an intense custom color using our creative color palette. Lightly mist the hair with CHI Keratin Mist to even out porosity. Step 2: Evenly apply a generous amount on clean, dry hair staying 1/8” away from the scalp. Do not, apply product directly to the scalp. For a retouch, apply only to new growth area and avoid overlapping. Step 3: Recommended processing time is 10 minutes under low heat and at least 5 minutes for cool down. Always allow time for full cool down. For longer- lasting color, a longer cool down time may be used. Step 4: Rinse hair thoroughly with cool water until water runs clear. Towel blot and apply CHI Color Lock Treatment for 5 minutes to lower the pH. Rinse with cool water to lock in the color. Apply a few drops of CHI Silk Infusion to add additional shine and protect the hair during heat styling. • Silk Protein: helps strengthen the hair and add brilliant shine. • CHI Ceramic Compound: helps dyes penetrate deeper. • Aloe: helps soothe and protect the scalp. • 9 Intense Bold Shades: easily refreshes, neutralizes or customizes color. • Low Inventory: allows you to keep up with the latest trends by custom mixing. "Hands down, some of the best hair color around. I'm pressed with the quality and results of this line. Strengthens hair while adding shine."